Your child’s health, the Gut and SIBO – what have they in common? What is the link to your child’s recurring illness? Above: Such a little cutie, I wonder who he belongs to? THE GUT IS LINKED TO A MYRIAD OF HEALTH CONDITIONS BECOMING TOO HUGE TO LIST. PROBIOTICS have being touted as the next best thing to heal all gut issues..but is that enough? The microbiome of the gut is the most important part of the human body system as the nutrients that are delivered from the SMALL INTESTINE are a source of fuel for the blood stream. Guess what the bloodstream feeds.. every single organ, tissue, hormone and neurotransmitters receptor and cell. INCLUDING IN THE BRAIN! If your Microbiome is unhealthy there are a myriad of concerns for your child’s health including obesity, cancer and autoimmune diseases including what is now being called type 3 Diabetes… Alzheimer’s. So it stands to reason that if your child’s health is poor and they have been given antibiotics, even once, in their lifetime (and don’t get me wrong, antibiotics do play a huge place in our prolonged health today) then chances are the gut microbiome ( the bugs and microscopic flora living in the small intestine) is wreaking havoc with your child’s immune system, nervous system, and this may affect their behaviours, comprehension, nutrient absorption and immune health. SIBO is a hidden and very underestimated infection of part of the SMALL INTESTINES and used to be called DYSBIOSIS. Chances are if your child has SIBO they will have ongoing recurrent illnesses and ongoing antibiotic prescriptions until someone savvy recognises the signs and symptoms, tests and treats this professionally. I truly do see this EVERY DAY in my practice! It takes years to retrain the flora in the gut to stay around. Probiotics require specific and individualised prescription, not just a one size fits all as many blogs and health coaches tout. I am a SIBO qualified Practitioner. I can help you find the right prescription and help to grow a really healthy gut garden. This is why I want to take you on an online GUT GARDENING RETREAT. 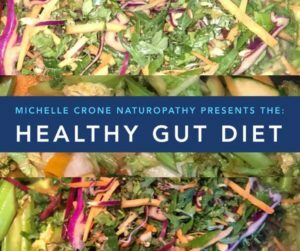 I have created a webinar called “THE HEALTHY GUT DIET” to teach you about various areas of your gut health and I really, really would love you to join me to help spread the news! I have added a professional article below that outlines research and studies into children hospitalized and the correlation of those with SIBO. Yes please! Reserve me a seat! Acknowledgement for artcile below: Peterson, M., AdvDipHSc(Nat) GradCertEvBdPrac- Bioceuticals Practitioner Only Nutraceuticals. Siniewicz-Luzeńczyk K, Bik-Gawin A, Zeman K, et al. Small intestinal bacterial overgrowth syndrome in children. Prz Gastroenterol 2015;10(1):28-32. 2. Rezaie A, Pimentel M, Rao SS. How to test and treat small intestinal bacterial overgrowth: an evidence-based approach. Curr Gastroenterol Rep 2016;18(2):8. 3. Rezaie A, Pimentel M, Rao SS. How to test and treat small intestinal bacterial overgrowth: an evidence-based approach. Curr Gastroenterol Rep 2016;18(2):8.